Drake Fires Back at Pusha-T with Diss Track "Duppy Freestyle"
With Scorpion due out next month, Drake has just dropped a new track. It's called "Duppy Freestyle" and it's available to stream immediately. The song appears to be a direct response to Pusha-T's DAYTONA track "Infrared." That song includes Drake disses about ghostwriting and Quentin Miller. 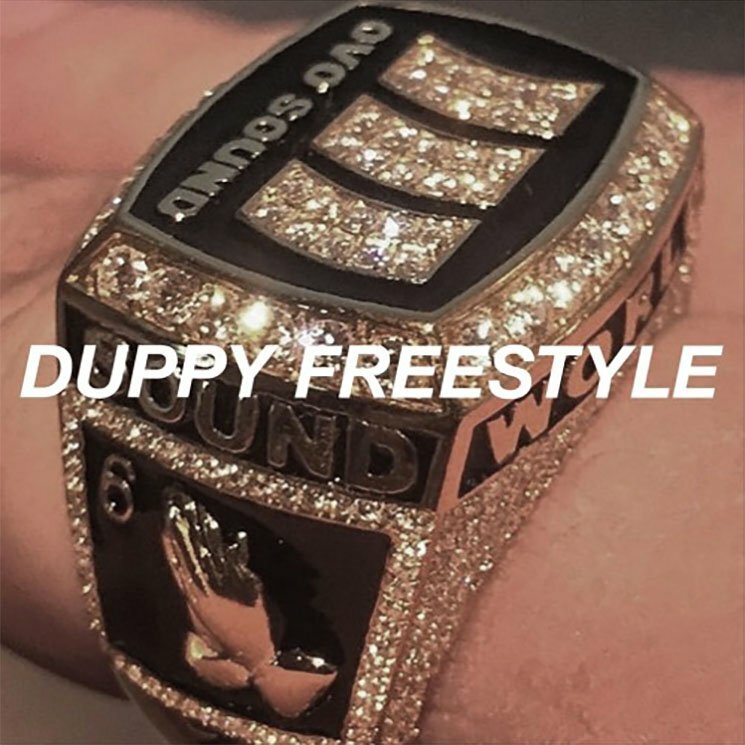 On "Duppy Freestyle," Drizzy spits rhymes over soulful mid-tempo groove full of boom-bap beats and sultry, jazzy horns. Lyrically, he spends pretty much all of it dolling out disses, as he raps, "Don't push me while I'm in album mode / You're not even top five as far as your label talent goes / You send shots, well I gotta challenge those." Of course, it's not been confirmed that this is about Pusha-T, but it seems fairly clear. Take a listen to "Duppy Freestyle" below. UPDATE (9:15 p.m. EDT): So, it's definitely about Pusha-T. The G.O.O.D. Music rapper has fired back at Drizzy's suggestion to "Tell 'Ye we got a invoice coming to you / Considering that we just sold another 20 for you," telling him to make good on his lyrical promise. Perpetually the pettiest person alive, the 6 God did exactly that.